Probably the most famous interior blogger in the world. 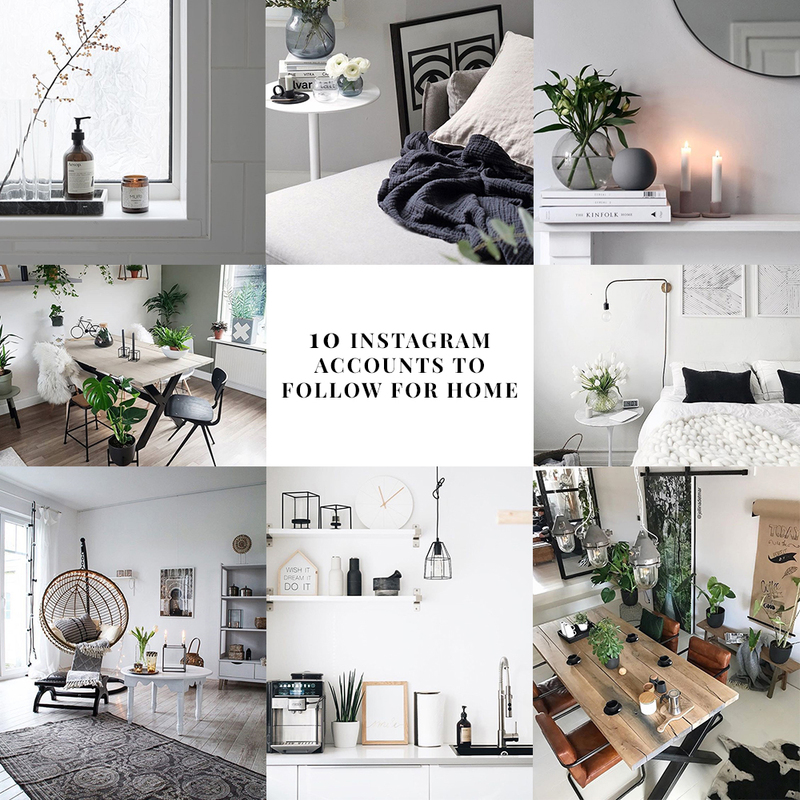 It has been more then a year since I recommended you Instagram accounts to follow for home. During that time new accounts have appeared and I’ll and I’ll tell you in brief why each of them is liked and how each of them inspires me. 1. This account is coordinated by the Interior blogger whose home is delicately feminine and light. I like her home photos which are never overloaded. 2. A discovery of the last year. One more freelancer interior blogger whose photos and home is always neat, minimalistic and cozy. Indeed, there‘re a lot of advertisements in her blog, however, it‘s submitted rather delicately and isn‘t bothering. 3. Probably the most famous interior blogger in the world. Seriously! The ones who love urban jungle movement and plants will definitely find inspiration. 4. Rather stylish photos smelling minimalism and the order. 5. Those who like dark and Northern interiors should undoubtedly follow this account. 7. That‘s the owner of completely cozy Scandinavian style home. Each photo smells coziness! 8. The lovers of plants and naturalness – please stop for a while. I think that I found what you were looking for! 9. One more home where a lot of plants live! 10. Home that‘re full of life and are somehow similar to Lithuanian homes. You can really create it at your home! Well and, of course, I‘ll take the chance and will invite you to follow my account! Older post Colorful and wallpapered ceiling - an exclusive solution! Newer post Which type of bed is the most suitable for you?